"Hakuna Matata" Who can forget this phrase from the most loved animated movies in the 90s, the Lion King. 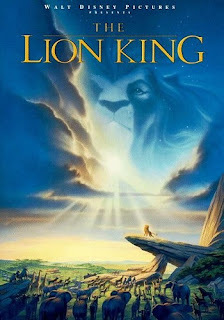 The Lion King is one Disney Movie that I love most. I've seen it in Cinema in 1994 and had watched it on DVD many times. A movie about redeeming what is rightfully yours, just like what Simba did. He came back to reclaim his Kingdom from his evil uncle Scar. This is my Tuesday Couch Potato with theme Redemption. my kids and I loved this!! mine's HERE by the way.. I always like this movie and my son like it too. My first entry is late.